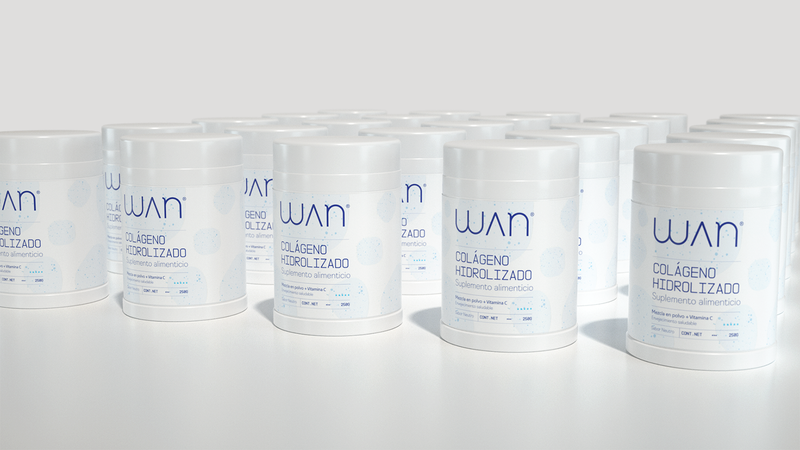 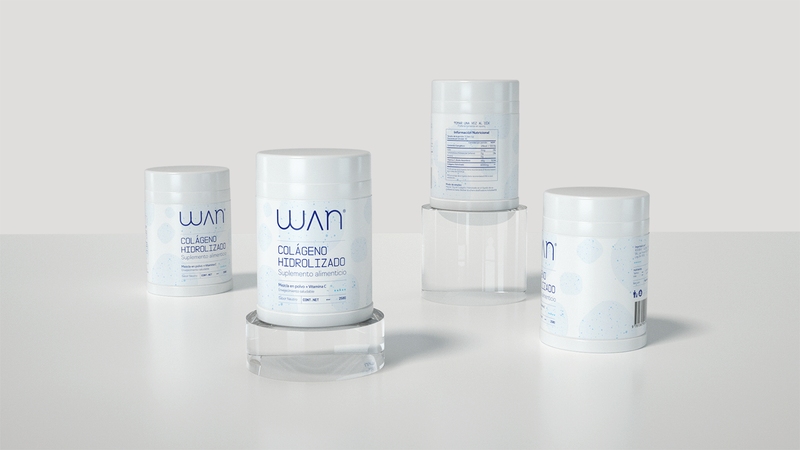 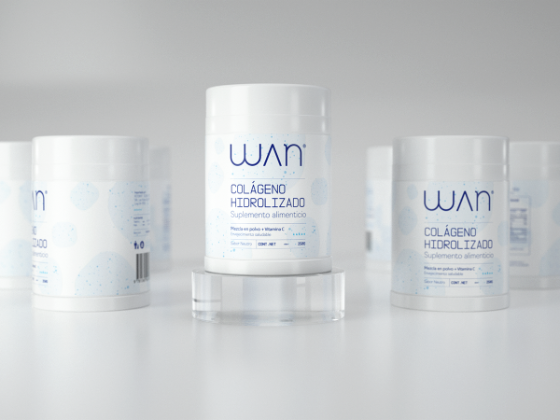 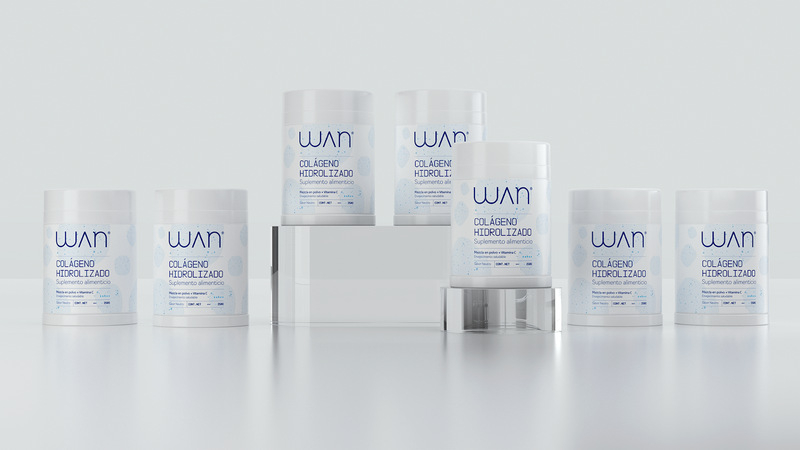 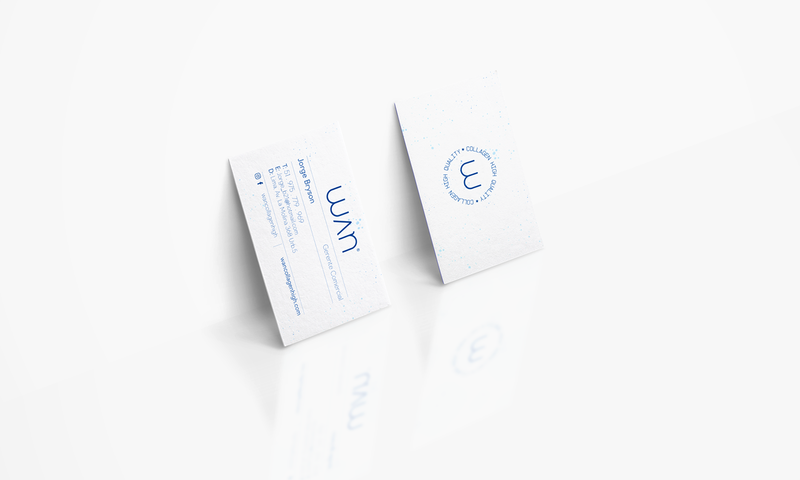 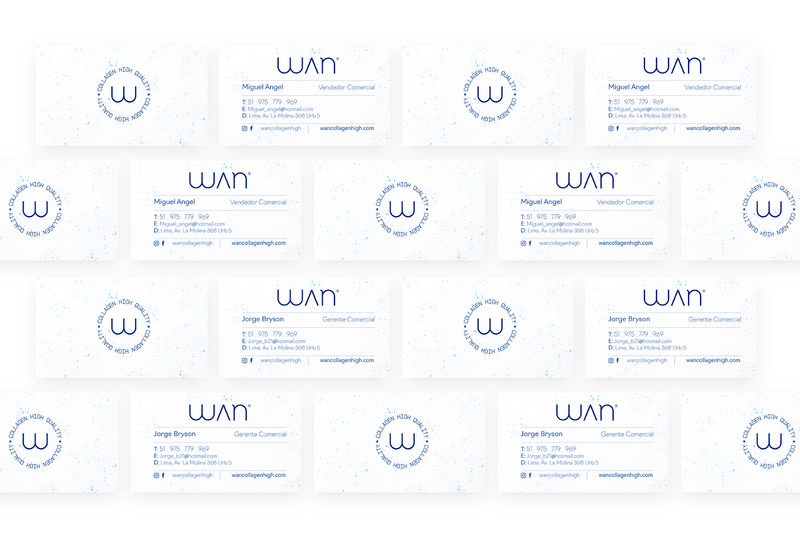 WAN - is a perfect supplement that has all the essential standards to generate great results in our body. 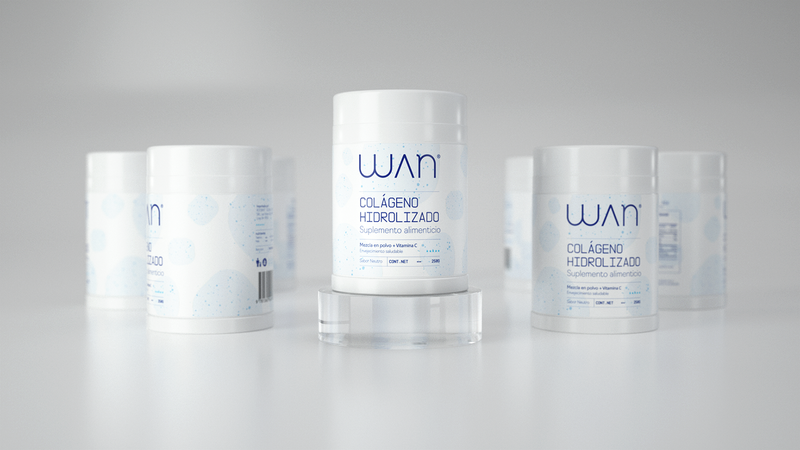 Its improved dose has a necessary amount of vitamin C, improved with hydrolyzed Quinoa and atomized Camú Camú, which helps to look and feel young. 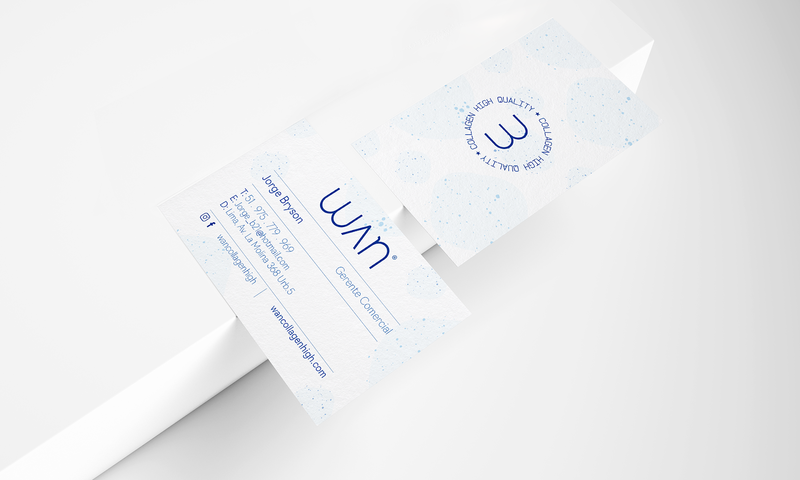 Because of this, a friendly, clean design was made. 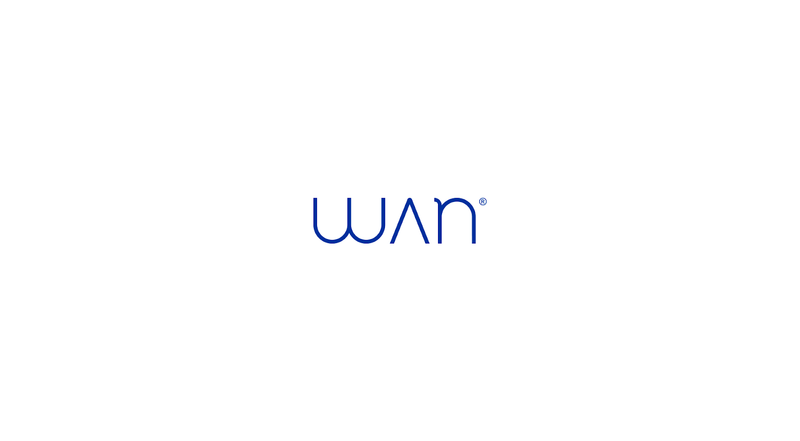 For the construction of the logo, it was also opted to make it typographic linear, with rounded edges that represent confidence, health and well-being. 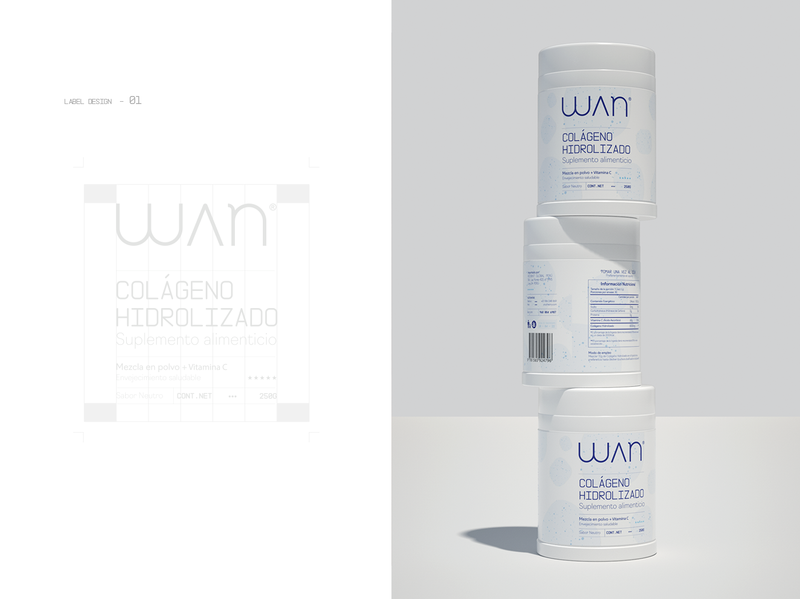 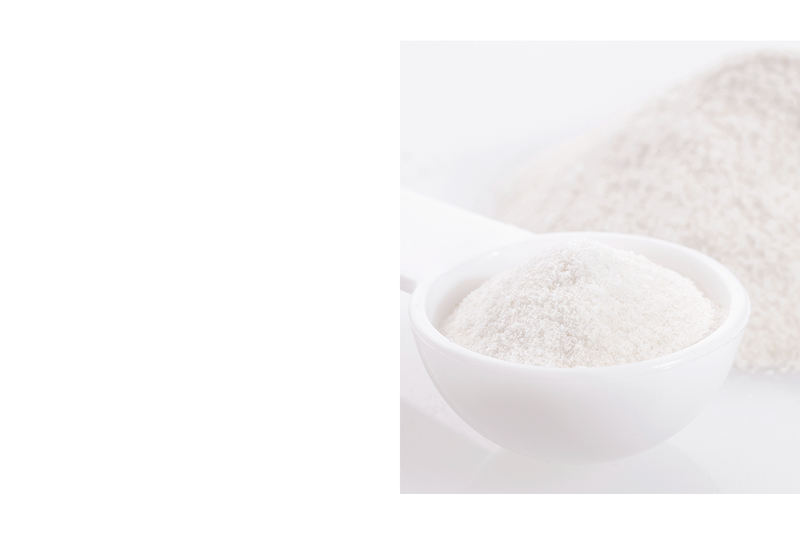 Be designed a pattern inspired by the textures of the product content (powder) to create a dynamic and safe brand for the industry. 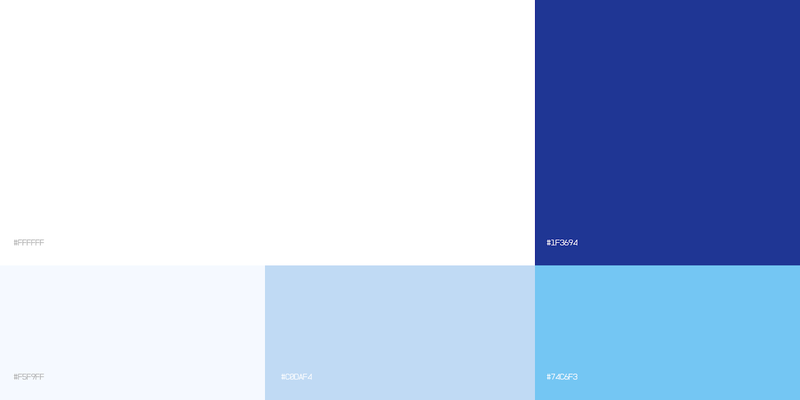 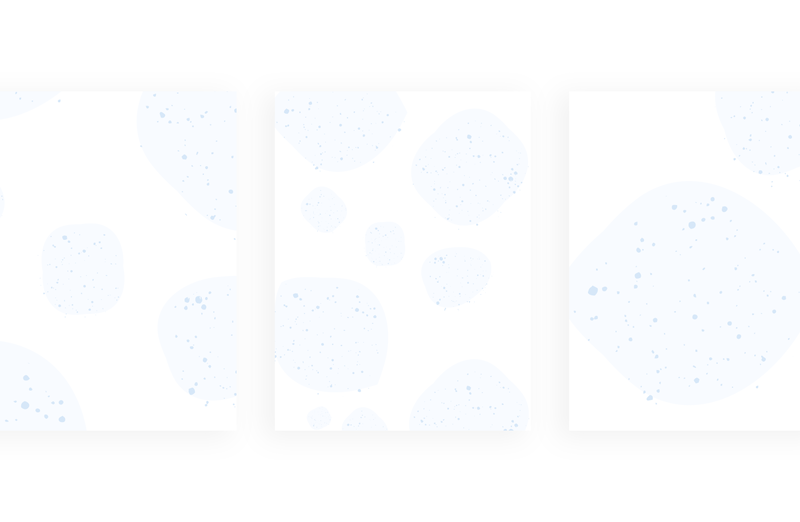 The color palette was the pastel blue range to give you a healthy outline. 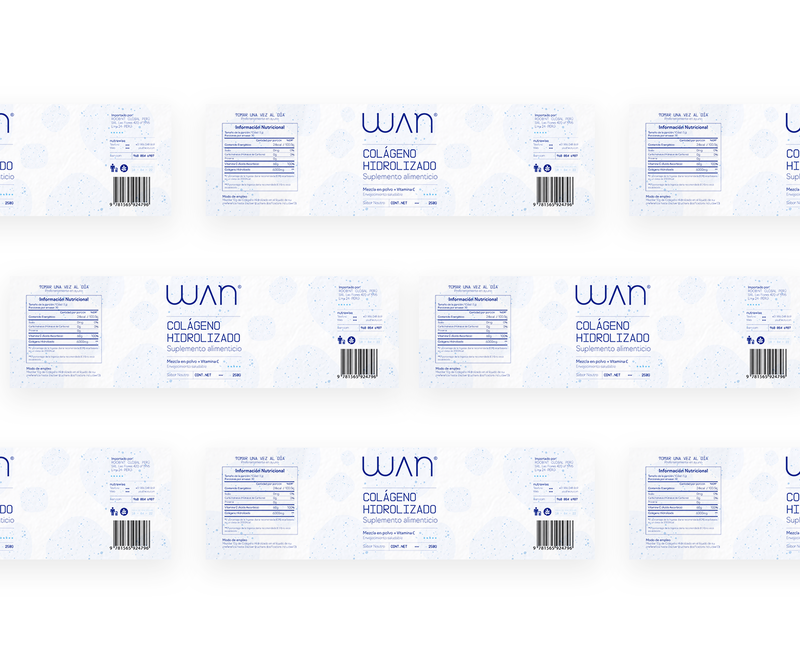 The guidelines used in this area are visually clean, in this case my label is cleaner and more functional. 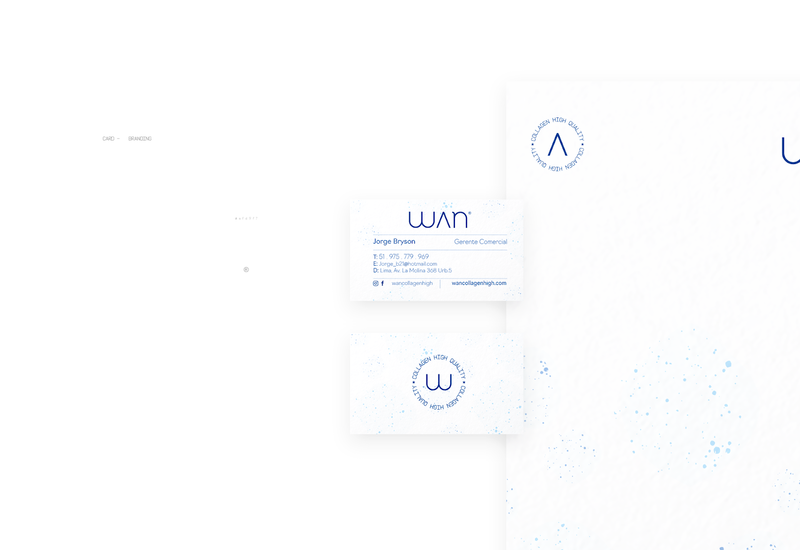 The brand is very dynamic for the industry.